This product is a plastic mini vernier caliper mainly for precision measuring. Made of high quality plastic, which is lightweight and quiet handy and comfortable to use. With vernier design for exact inside, outside and depth measurements. Its measure range is 0-150mm, which can used for precise measurement. Suitable for permanent makeup tattoo eyebrow line lip and other precise measurements. Made of high quality plastic, which is lightweight and quiet handy and comfortable to use. With vernier design for exact inside, outside and depth measurements. Its measure range is 0-150mm(0-6inch), which can used for precise measurement. It can show both "inch" and "cm", very convenient to use. An ultra precision and effortless operation measuring tool. 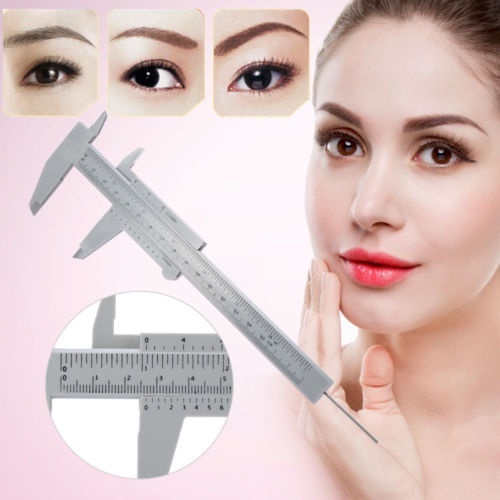 Suitable for permanent makeup tattoo eyebrow line lip and other precise measurements.